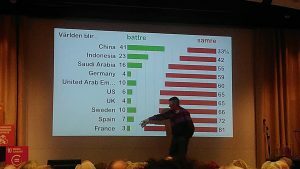 Ola Rosling spoke at Swedes Worldwide in Stockholm and proved that people in rich countries have Mega Misconceptions that make them see the world worse than it actually is! 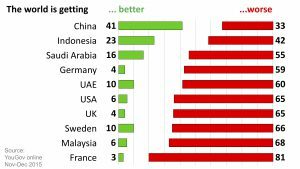 Most people today have a very negative view of the world. 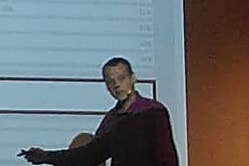 In this picture, he’s showing how many people in rich countries believe that the world is getting better or worse, according this survey conducted by YouGov. Out of 17 countries, in only one the people the world was getting better. Ola argued that we need to add fact-based education in the national curriculum of all countries, to guarantee that our future generations, in Sweden and abroad, make fact-based decisions.